Back in those days before computers. Interestingly this is sent by John Piper to the Mahaneys. Professor Rick Grush, Associate Professor of Philosophy at the University of California, San Diego has made his class available. The ramification of these sentences are huge, in regards to the discussion of General and Special Revelation. Nothing like reading during Spring break! This is why I recommend this super-short booklet. In the history of the United States, there is no war that is bloodier for America, than the American Civil War from 1861-1865. 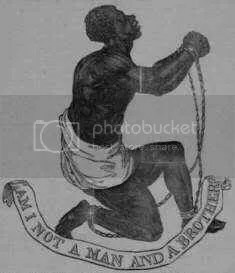 One of many issues and controversy surrounding this conflict was the issue of Slavery. Today, the issue of Christianity and slavery is still bought up, and usually done in light of slavery that existed in the South. From both sides, arguments were given that attempted to justify their position by appealing to the Bible. For anyone interested in the subject, host of books can be recommended. 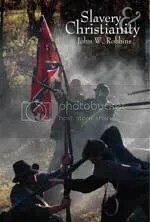 Indispensable to this, is John Robbin’s latest work, “Slavery and Christianity”. “Slavery and Christianity” is actually a commentary on the Book of Philemon, in the New Testament. One of Paul’s shortest epistles, this book in the Bible has always been referenced as having a dramatic impact for the abolition movement. John Robbins pointed out early in his commentary of how people often misjudge something that is short as being insignificant. Interestingly enough, “Slavery and Christianity” is also short, coming in at 49 pages, yet it is powerful. Having read several commentaries on Philemon, in my estimation “Slavery and Christianity” was the best one among them. Many people are cautious with the works of John Robbins in controversy today, but the quality of “Slavery and Christianity” is what you would expect from a Reformed and Presuppositional teacher of the Word of God: logically sharp, fascinating insight from the Biblical text, lay-man friendly and more importantly, spiritually edifying. 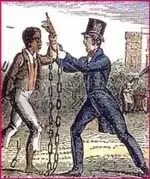 “Slavery and Christianity” commentary on Philemon draws out the social and political ramification of God’s Word, specifically as it touches on the institution on slavery. There is no doubt, that this new book would cause a stir among some pro-Southern Slavery theologians existing even today. For those who have always heard that Philemon advances the abolition’s cause but would like to see exactly how the argument from Biblical references goes, “Slavery and Christianity” is highly recommended. A few schools in the US and the world have made their courses available for all. It doesn’t have the audio or video lectures yet but they do offer their syllabus. An OpenCourseWare is a free and open digital publication of high quality educational materials, organized as courses. The OpenCourseWare Consortium is a collaboration of more than 100 higher education institutions and associated organizations from around the world creating a broad and deep body of open educational content using a shared model. The mission of the OpenCourseWare Consortium is to advance education and empower people worldwide through opencourseware.